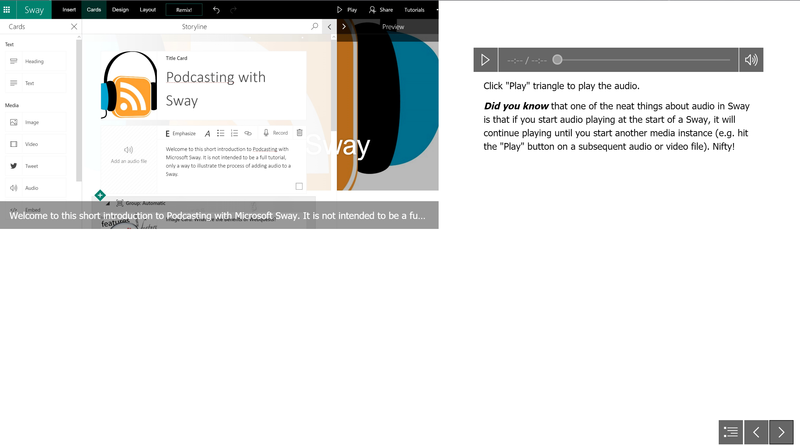 Even if you’ve never created a podcast before, you can do so easily with Microsoft Sway. You may not be aware of it, but Microsoft added some new features to the web version of MS Sway that make it ideal for audio-narrated images, also known as enhanced podcasts. Of course, Sway enables you to add tons of great content (e.g. Twitter streams, video, embedded content) aside from images and audio. However, this blog entry focuses specifically on audio and images. 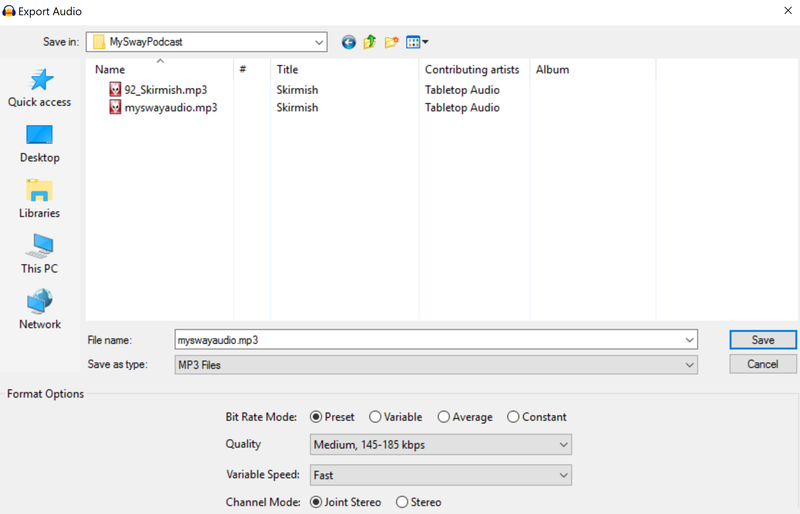 Pre-record audio using Audacity, Voice Record Pro (iOS), or HiQ MP3 Recorder (Android) then import it into your Sway. The main benefit of this approach is that you can incorporate audio from free sources (e.g. TableTopAudio.com). Then you can edit your audio until you get it just the way you want it. 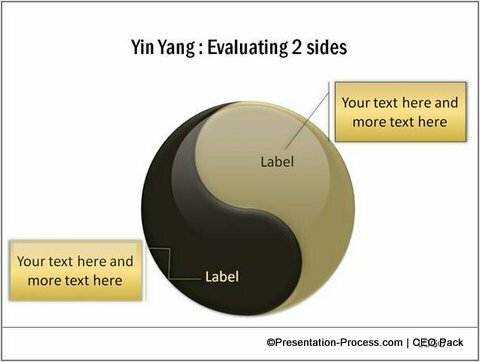 You can adjust the Group and Design features of Sway to place your image and audio recordings near each other on the screen. As you can see from the outline above, it’s simple to combine images and audio to get the desired effect. You can vary your media content to suit your needs or those of your students. Did You Know? Learn more about Microsoft Sway soon! 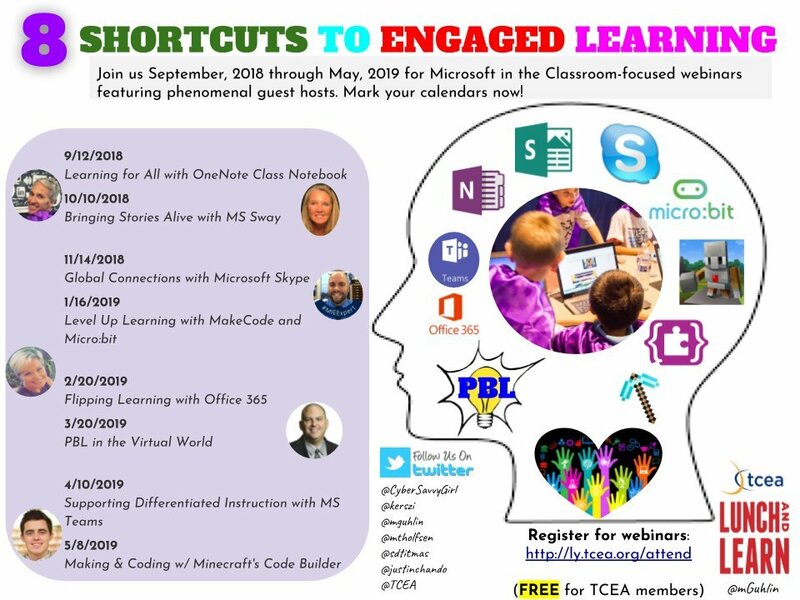 Take advantage of the TCEA Lunch-n-Learn: Microsoft Sway taking place on March 29, 2017 from 11:45am to 12:15 PM. 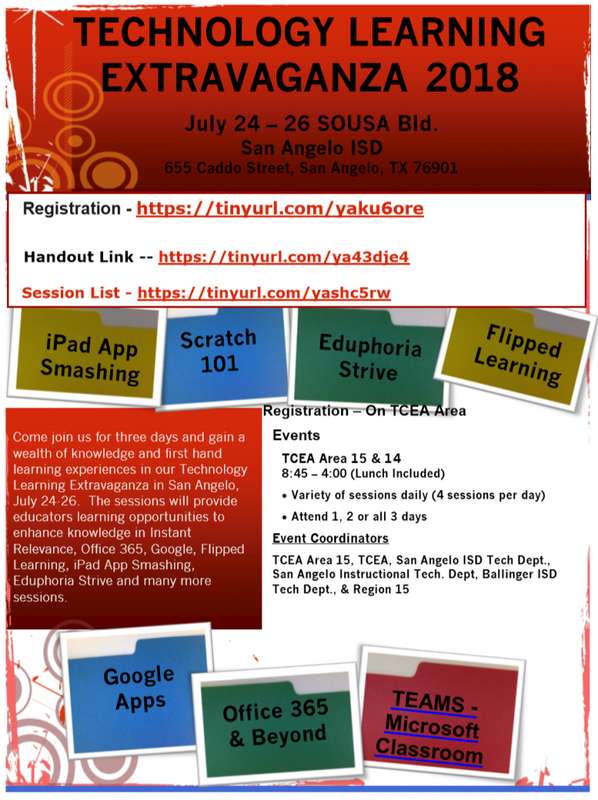 This is a “free for TCEA members” webinar (Why aren’t you a member yet?). Here’s an example of combining images, video and audio in a Microsoft Sway. This particular Sway announces the upcoming, April 4th TweetMeet for Microsoft OneNote. 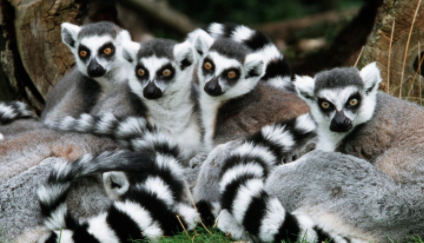 On the top menu bar, click Cards and add the Audio card to your Sway. Click Record on the audio card. After a three-second countdown, the flashing button will indicate that you’re recording. Click the flashing button when you’re done recording. Click the play button to preview your recording. If you’re satisfied, select Add to Sway; if not, click Re-record. You can also delete your recording by clicking on the Trash Can icon. Follow these steps to create your own audio recording. Note that there are various tools available, including Audacity (featured below), Chrome’s Beautiful Audio Editor or Twisted Wave: An Audio Editor, iOS apps Hokusai or iRig Recorder, Vocaroo.com for web-based recording, and many more. Open Audacity on your Windows or Mac computer. 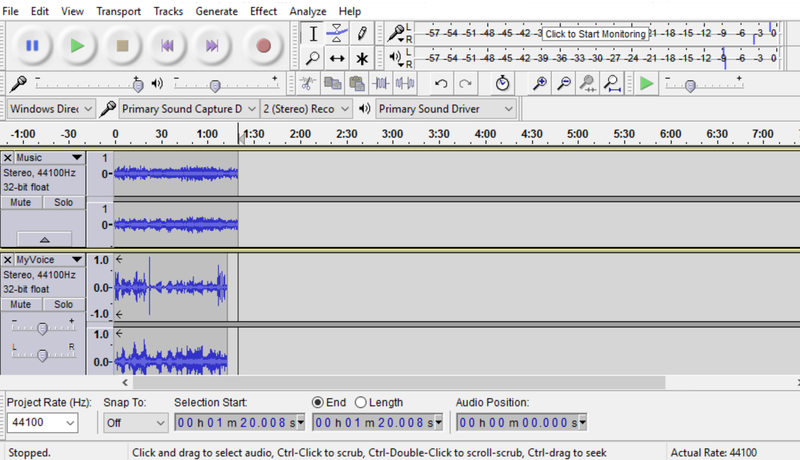 Record your audio into Audacity, adding additional tracks for background music, etc. Most audio editors (e.g. Beautiful Audio Editor, Twisted Wave, Hokusai) have a similar look. 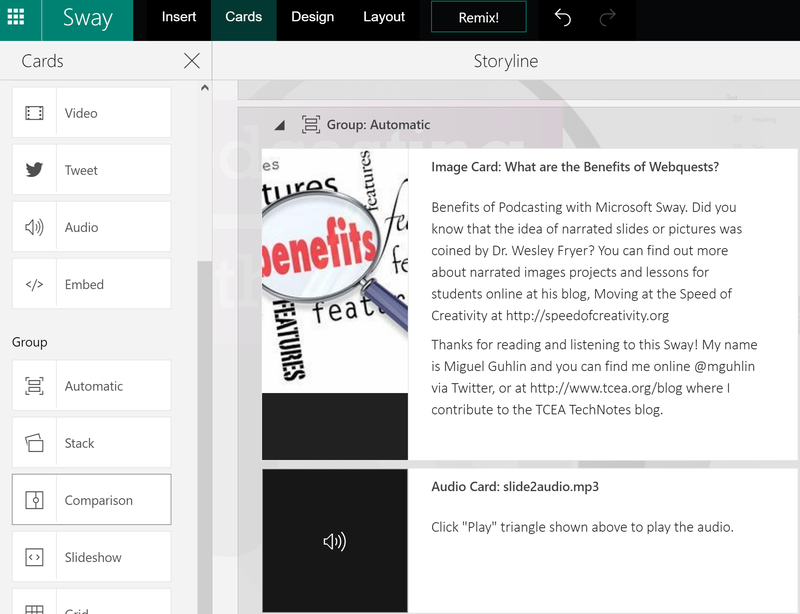 Insert an Audio card into your Sway. Click on the Add an Audio file, then select the MP3 audio file on your computer. Use the Group feature to place images and audio cards together. Here is another point to consider with embedded audio in a Sway. 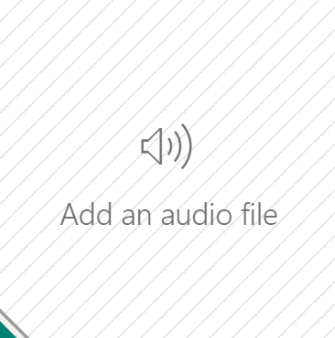 You could record a longer audio file at the front of your Sway. When the viewer clicks the audio, that audio will play as the viewer works their way through the content of the presentation. This persistent audio playing makes it easy to incorporate a monologue. The audio stops playing once the viewer clicks on a different media though. Now that you’ve added and grouped images and audio together and customized the design of the Sway, you have the option to share a link with others or embed it in a web page, such as a blog. Of course, since Sways include responsive web design , this means you can put it just about anywhere! 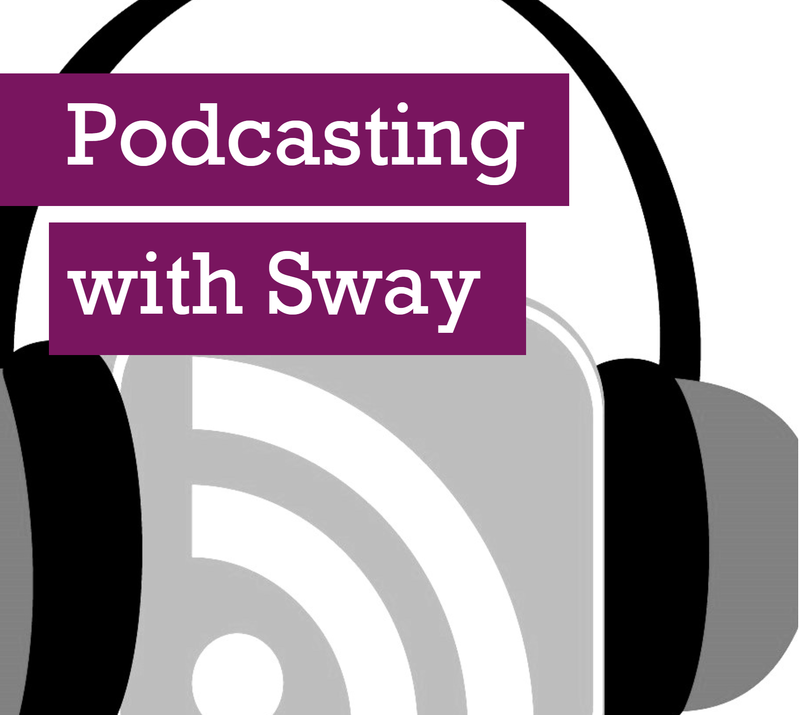 To make it into a podcast, you will want to embed the Sway into a blog or something with an RSS feed. Unlike a true audio/video only podcast, the Sway will have to be clicked to be played or viewable. That aside, Sway makes a convenient wrapper or container for your audio that works on all devices! “We sure wish Class Notebook worked in OneNote Online,” several teachers remarked to me at a Fall Microsoft Innovative Educator (MIE) session. Microsoft was listening. 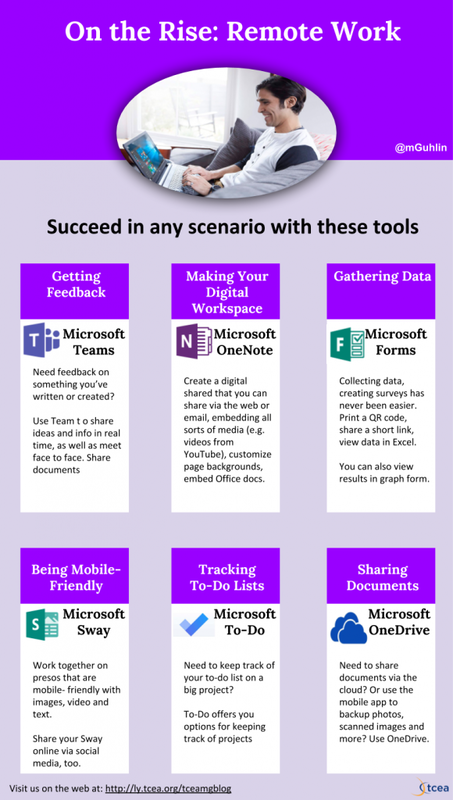 On January 18, 2017, Microsoft improved teaching and learning with OneNote! These new features expand integration for OneNote’s most popular add-ins, Class Notebook and Learning Tools. Today, in the announcement, Microsoft shared their two popular add-ins are now available for OneNote Online, as well as OneNote for Windows 10 (the free version that comes installed with Windows 10). Some additional enhancements were also covered. 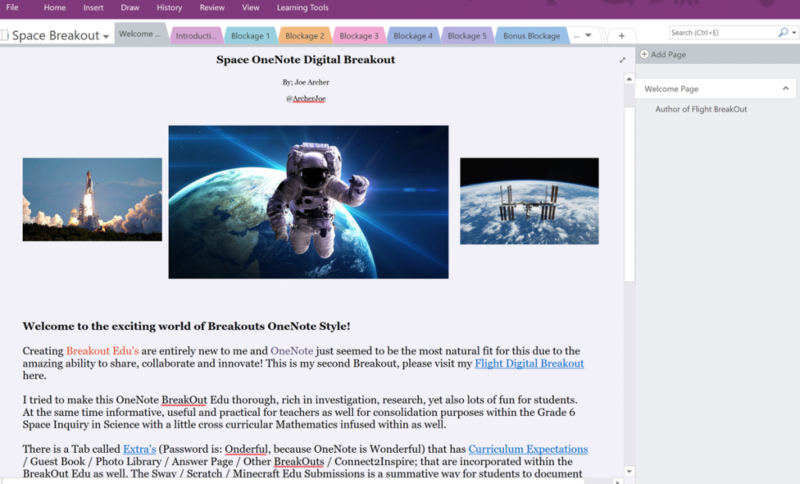 You already knew that YouTube, Vimeo, Slideshare, Sway, Docs.com, MS Forms, and Office Mix could be embedded into a OneNote page for easy student access. As of today, you can also embed Quizlet, ThingLink, GeoGebra, Wizer and Sketchfab 3D! Check out Marjolein Hoekstra’s (@OneNoteC) example OneNote Notebook (as well as her demo of Padlet embedding!). 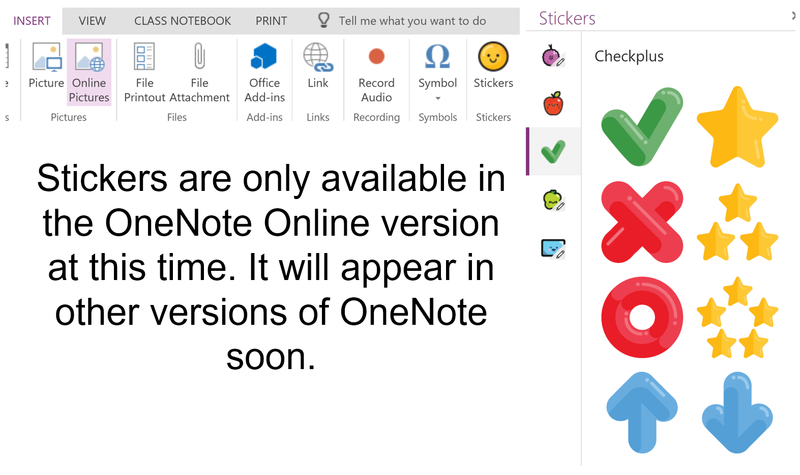 OneNote has also been enhanced to include stickers for student feedback. These stickers won’t peel off! For teachers, Class Notebook for OneNote Online and OneNote for Windows 10 means easier distribution of content to all students in a class. It also empowers teachers to review student work sequentially (click and grade your way through a class roster with ease). This is phenomenal since it adds class management functionality the online and app versions of OneNote 2016 (the cadillac version). These features are rolling out on January 18 for OneNote Online. A new version of the Win 10 OneNote app will allow you to enable the feature via the settings in the Options menu. 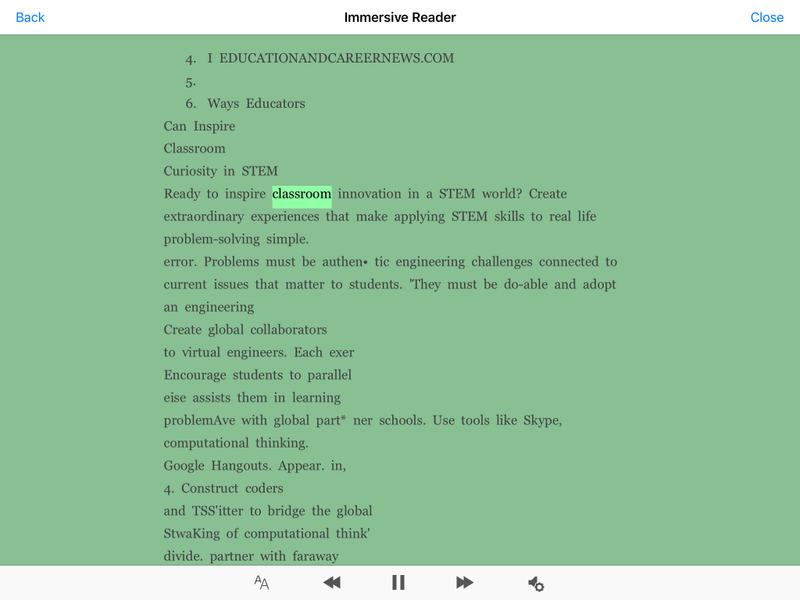 Learning Tools, which provides access to the Immersive Reader, dictation, and more, has now been expanded. 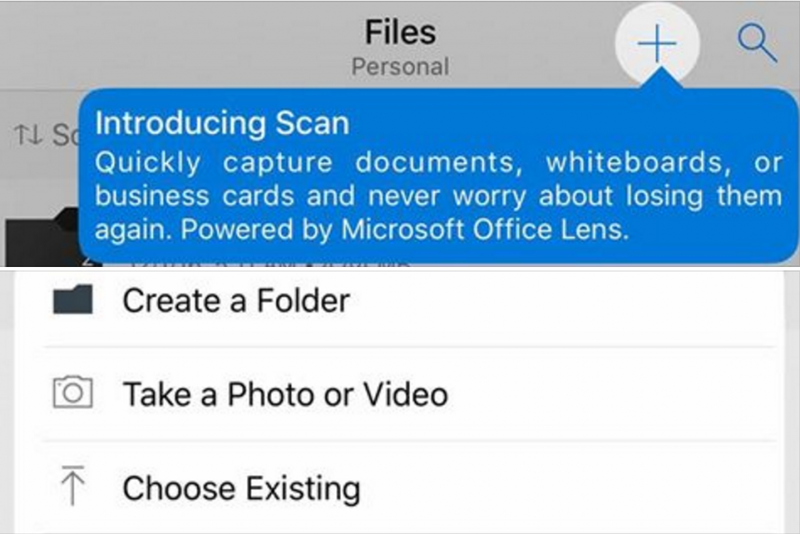 It works on Word Desktop, Word Online, OneNote Online and Office Lens for the iPhone. A great dictation feature translates you when you say “period” or “question mark” and inserts respective “.” or “?” inline. Other new features include six new languages, as well as the addition of three dictation languages. 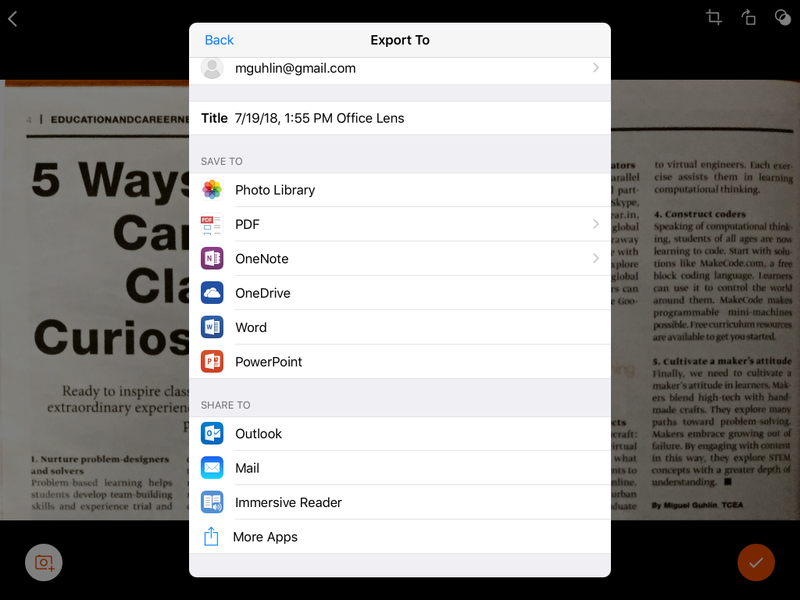 You may have missed the message that Office Lens for iPad and iPhone now includes Immersive Reader, which “lets you hear text from a scanned page read back to you as words are highlighted,” functionality. This is an incredible addition! Thanks to Microsoft for modeling continuous improvement, listening to teachers AND students, and implementing these changes. While learning management systems (LMS) of yesteryear (e.g. Moodle, Blackboard, Sakai) remain powerhouses of centralized control for educators, most of the teachers I speak to are no longer interested. It’s as if they are saying, “Ok, why does virtual class management have to be so difficult? 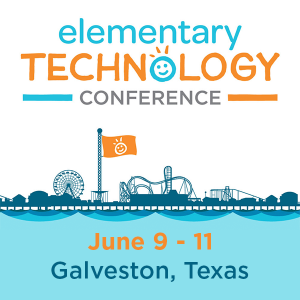 I want simple solutions that help me get my work done rather than force me to learn arcane workflows.” As a result, we’ve seen educators eschew solutions like Edmodo, ever on the hunt for the easiest, most powerful tool. Consider new classroom tools as the latest iteration of learning management systems. For example, Moodle and Blackboard provided one iteration, Edmodo and Schoology another, and now Google Classroom and Microsoft Classroom are the latest iteration. Let’s explore this most recent iteration. 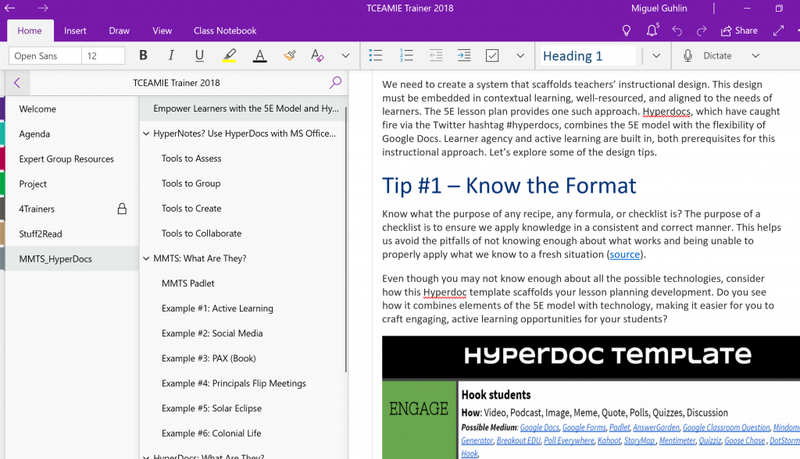 Update: Since this blog entry was first submitted for publication, both MS Classroom, OneNote Class Notebook and Google Classroom have released powerful new updates that may not be reflected in the feature list below. 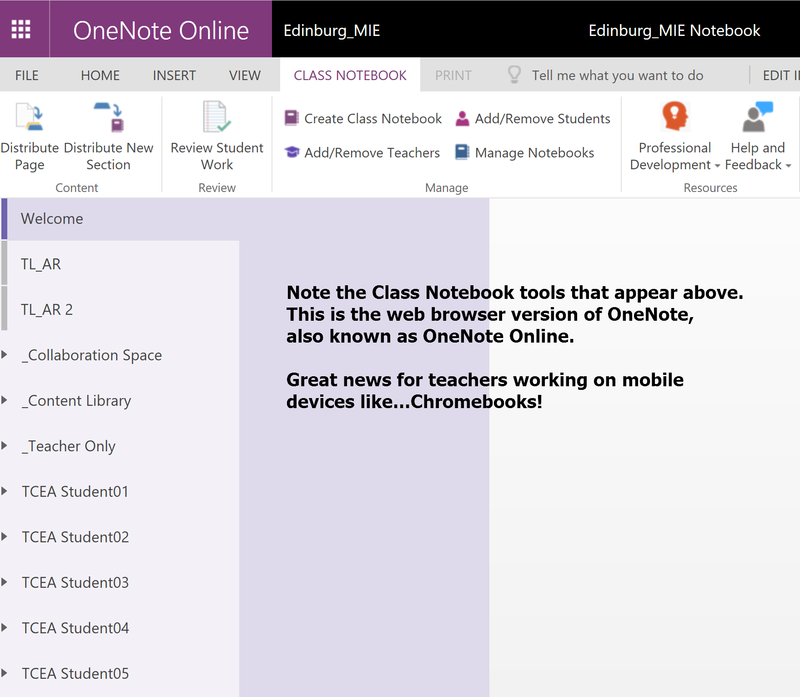 For example, OneNote Class Notebook now has a “take it on the go” feature. Click links above for more info about each. This blog entry has also been updated to clarify information relevant to MS Classroom and School Data Sync. Most recent updates appear in maroon. Watch these MS Classroom Video Overviews exploring various features. The goal of any virtual classroom system, or LMS 3.0, involves providing a suite of online tools that empower students and staff to connect, create, collaborate, and facilitate organization. Microsoft Classroom, like Google Classroom, offers integrated word processing, spreadsheet, slideshow presentation, and cloud storage. It goes one step further with OneNote Class Notebook, facilitating digital ink/notation of student assignments, the grading of assignments and full integration with MS Classroom Assignments. MS Classroom, by itself, is a powerful classroom collaboration tool. 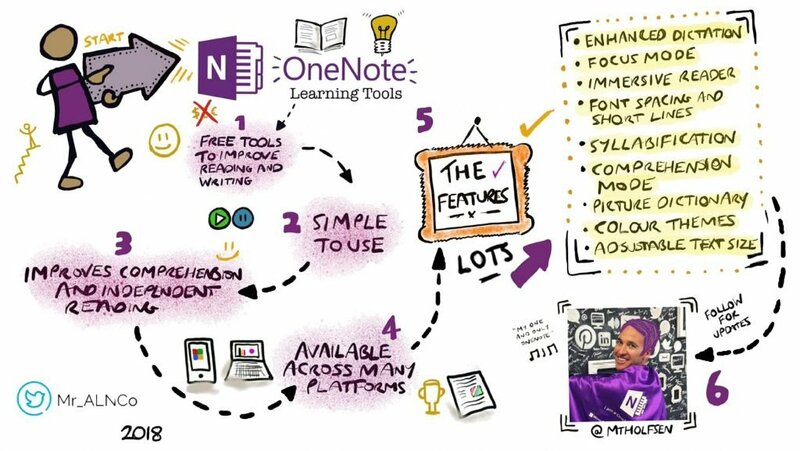 But add OneNote Class Notebook, and you’ve made it simple for educators to distribute assignments, draw/use digital ink to create and annotate content. Then, you can add audio comments and feedback to student work along with digital ink feedback. Both Google and Microsoft have a wealth of features. Let’s take a peek, adapting this support document to facilitate a feature comparison. I’ve also added components (e.g. 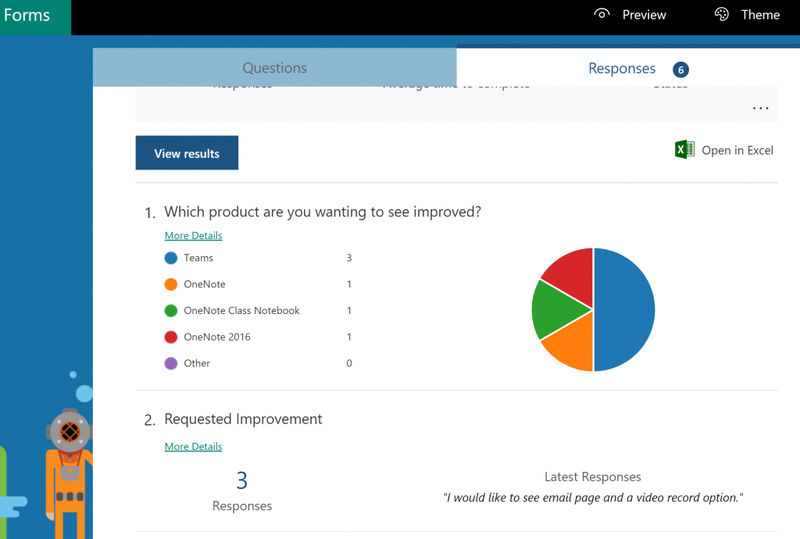 MS Snip/video links to the MS Classroom side or links to Google’s support page) to the “Yes” response if they include items readers new to MS Classroom may be unaware of. Add students easily. Yes, and you can add students through a quick search as well as through School Data Sync*. 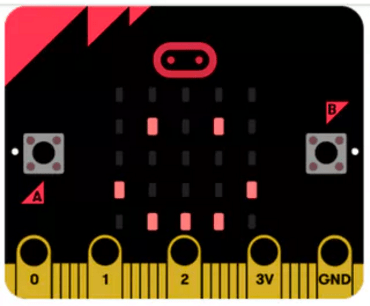 Students can join a class with a code, giving you more time to teach.. Manage multiple classes—Reuse existing announcements, assignments, or questions from another class. Share posts across multiple classes, and archive classes for future reference. Yes, you can post assignments to multiple classroomssimultaneously. You can Activate or Deactivate classes. Reuse existing announcements, assignments, or questions from another class. Share posts across multiple classes, andarchive classesfor future reference. Teach together—Co-teach a course with other instructors. Yes, you can easily add co-teachers. Co-teach a course with up to 20 other instructors. One-click worksheets—From a worksheet template, create an individual document for each student with one click. Yes, with OneNote Class Notebook integration, you can create individual documents, as well as provide templates for students to use in a content library. From a worksheet template, create an individual documentfor each student with one click. 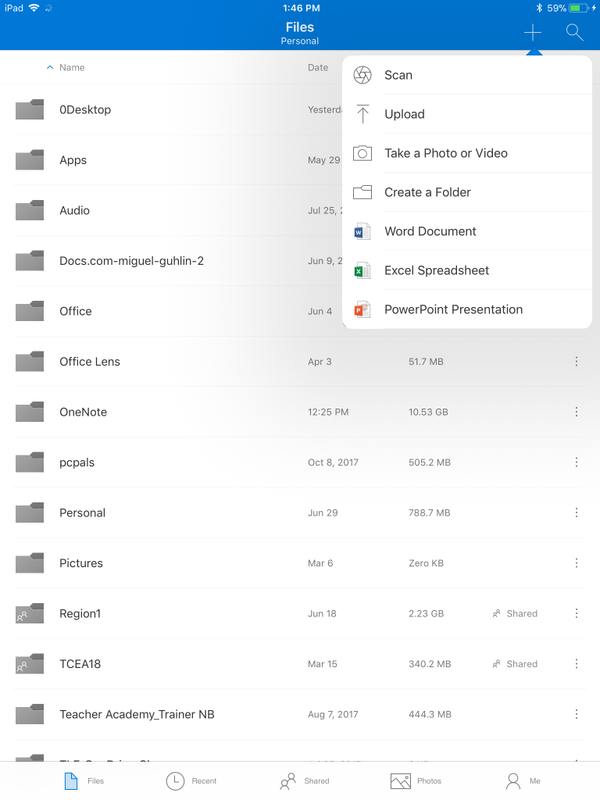 Rich assignment materials—Add materials to your assignments, like YouTube videos, Forms, PDFs, and other items from your cloud storage. Yes, a wide variety of media (e.g. YouTube, Vimeo, MS Sway, Slideshare) can be embeddedby pasting in the link. Documents can be included in Conversations component of MS Classroom as well as embedded in OneNote Class Notebook. Add materials to your assignments, such as YouTube videos, a Google Forms survey, PDFs, and other items from Google Drive. Teachers and students can draw on, write notes, and highlight documents and PDFs in the Classroom mobile app. Customize assignments—Add optional due dates, create customized grade values, and track which assignments are graded. Yes, each assignment can have due dates and times, as well as custom grade values. You can also quicklyassign grades via a connected OneNote Class Notebook, grades auto-synching to MS Classroom. Add optional due dates, createcustomized grade values, and track which assignments are graded. Prepare in advance—Draft posts and assignments, or schedule them to automatically post to the class stream at the scheduled date and time. Yes, you can schedule assignmentsin the future. Draft postsand assignments, orschedulethem to automatically post to the class stream at the scheduled date and time. Quick exit tickets and polling—Post a question to students, then view results within Classroom. 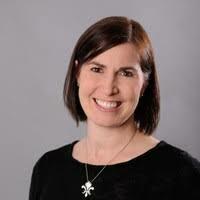 Yes, as well as take advantage of Microsoft Forms or Excel Online Surveys. Post a question to students, then view results within Classroom. Customize your class theme—Change the default color or theme image for your class. Yes, custom banners, icons and titlesare available. Yes. Change the default color or theme image for your class. Keep resources in one place—Create a class resource location for documents, such as your syllabus or classroom rules. Yes, use OneDrive for centralized location for online documentscreated, and/or OneNote Class Notebook with built-in search, passworded access to sections, and more. Yes. Create a class resource pagefor documents, such as your syllabus or classroom rules. Keep students organized—Classroom creates a Calendar for each class, adding assignment due dates to the calendar. Students can view upcoming work in multiple places. Yes, create assignment due dates and see those appear in calendar immediately. Students can view upcoming assignments, as well as review completed ones. Students also have a “Mark Done” option they can select and that turns the work in. MS Classroom also features a private “chat” between teacher and student for feedback regarding a particular assignment. Yes. Google Classroom creates a Google Calendar for each classand updates the calendar with work and due dates. Students can view upcoming work in the class stream, on their work page, or in the class calendar. Keep teachers organized—Review student work, including assignments, questions, grades, and previous comments. View work by one or all classes, and sort by what needs reviewing. Yes, one place to review assignments, student comments/questions, as well as the option to view items in OneNote Class Notebook. Yes. Review student work, including assignments, questions, grades, and previous comments. View work by one or all classes and sort by what needs reviewing. Grade quickly and easily—Sort students by first or last name, see who has turned in work, draft grades to share with students later, add private comments when returning work. Yes. Yes. Sort students by first or last name, see who’s turned in work, draft grades to share with students later, and add private comments. Plus, add annotations and visual feedback to student work in the Classroom mobile app. Transfer grades—Export final grades to spreadsheet format or to a CSV file for upload elsewhere. Yes, you can export grades through a CSV file. Yes. Export final grades to Google Sheets or to a CSV filefor upload elsewhere. Integrate with other favorite teaching tools—Sync your existing Classroom classes with partner applications. Yes, OneNote Class Notebook allows for integration with multiple LMSs, including Edmodo, Google Classroom, Moodle, MS Classroom, Schoology and many more. Also, Office 365 Suite of online and installed programs (e.g. Word,Powerpoint, OneNote, Excel). Yes. Sync your existing Google Classroom classes with partnerapplications. Access anytime, anywhere—Access Classroom on the web or via the  Android and iOS Classroom mobile apps. Yes, iOS  and  Android apps are available. Also features OneDrive cloud storage and OneNote apps for all platforms (e.g. iOS, Android, Windows, Mac). Yes. Real-time feedback—View, comment, and edit student work in real time. Yes. Yes. Create class discussions—In the class stream, post announcements, engage students in question-driven discussions, or move important topics to the top. Yes, you can use MS Classroom Conversations feature. Yes. Manage class discussions—Control who can post to the class stream and mute individual students from posting or commenting. Yes. Yes. Share content—Share links, videos, and images from websites to Classroom. Yes. Yes. Push content to students’ screens—Push web pages instantly to a class. Students can also share their screen with their teacher. Yes*. *Note: You can push or “distribute” content instantly using OneNote Class Notebook (which is “baked into” MS Classroom). These pages are instantly available via OneNote Online for students. Yes. 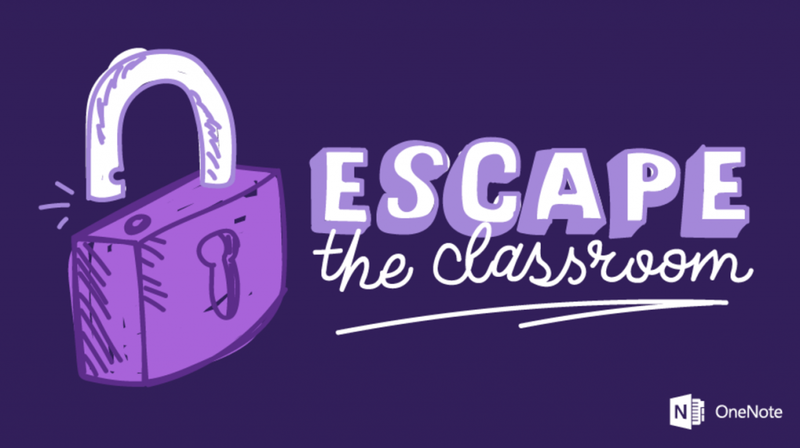 Affordable and secure—Like other services, Classroom contains no ads and never uses your content or student data for advertising purposes. Yes. Yes. One sign-in—Teachers and students can sign in to Classroom with a single sign-on. Yes. Yes. Professional development —Get your teachers using Classroom quickly with free online training. Yes. Professional learning online is available and a click away in OneNote Class Notebook. Yes. Personal data protection—Classroom is covered. Yes. Yes. *More on MS School Data Sync: “School Data Sync imports school roster data from the school SIS (like PowerSchool) and synchronizes it with Azure Active Directory and Office 365 so that Classroom (or any other application) can use the roster data to create online classrooms, have context about the student, and even enable single sign-on. Schools can also use Microsoft School Data Sync to automatically create classes and add students based on the school’s student information system (SIS) roster.” Watch this short video about School Data Sync! 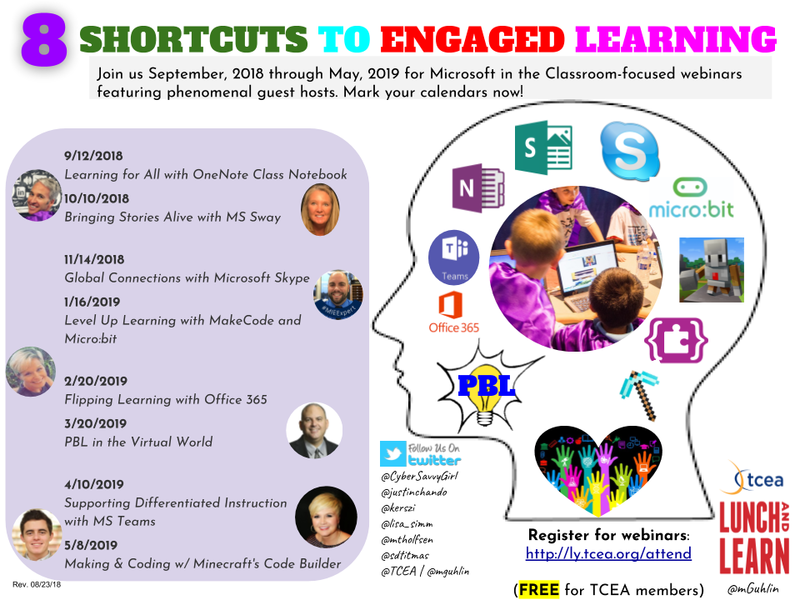 And, this chart doesn’t even mention online surveys and/or forms, both of which are available through Google Forms and Microsoft Forms (read this post by TCEA Board Member, John Bimmerle, on Microsoft Forms). That will be the subject of a future blog entry. These two third-generation LMS players are quite evenly matched, offering school districts who are looking for an alternative to Google Classroom that relies on robust, familiar MS Office tools a rich alternative. However, OneNote Class Notebook, OneNote Learning Tools, Collaboration Space, and the ability to quickly disseminate handouts and resources to students via the Content Library give Microsoft Classroom the edge. What’s more, OneNote serves as a great ePortfolio solution that can integrate with a variety of learning management systems, including Google Classroom. Depending on your needs, there is no reason why your district or school couldn’t mix and match the various tools (e.g. Google Classroom + OneNote Class Notebook, MS Classroom with YouTube) to get the desired results. 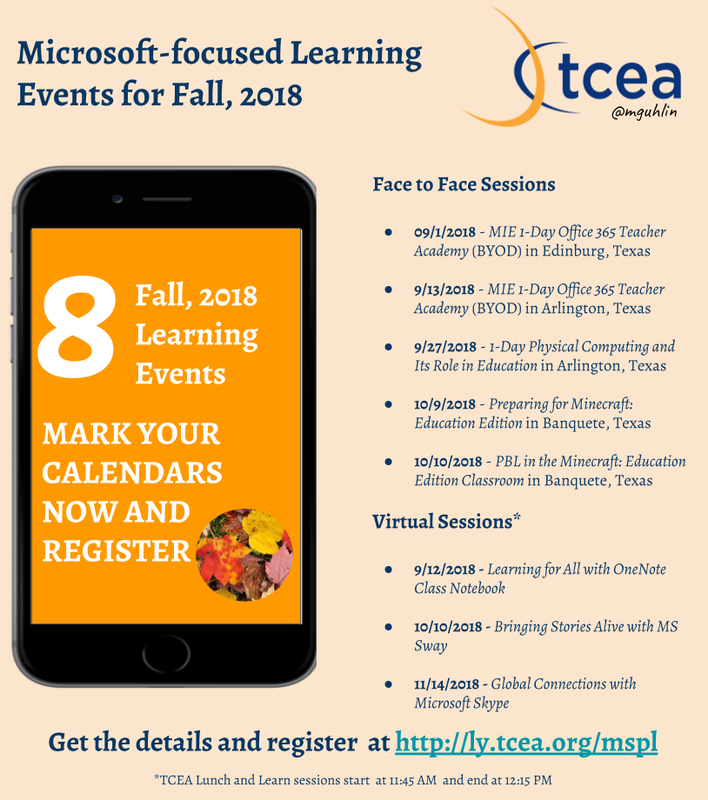 Are you a Texas educator using Office 365 in your District? 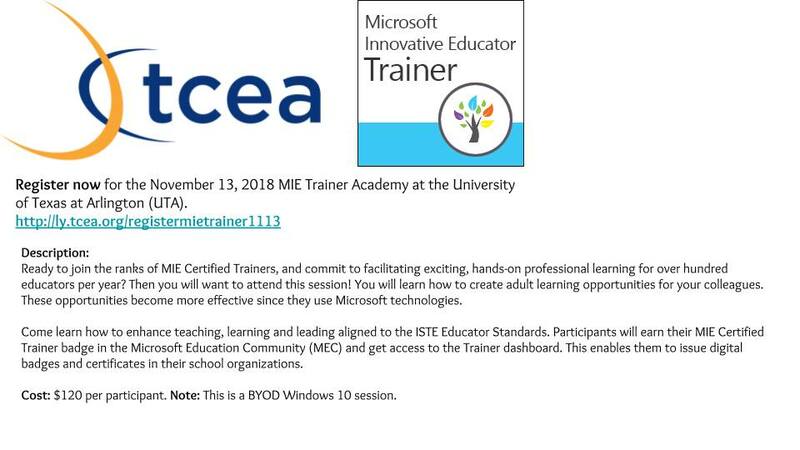 Join the free, open to members and nom-members TCEA Microsoft Innovative Educator (MIE) Facebook group!